One Day Off = Five Days Off – How lucky are we? One vacation day in the life of a firefighter can mean a lot of days off. For a firefighter who works 24 on, 48 off, one vacation day actually gives them 5 days away from the station! No Monday – Friday employee I know can get 5 days off by only using one vacation day. We are so lucky in the fire life to be able to take advantage of the extra time our firefighters have with their families when they have vacation days. If your station does vacation picking, you know what a big deal it is. At my firefighter’s station, they call it leave bidding. They have to submit a written request for which days they want off. The days requested off are granted by seniority. This means that he doesn’t always, or even most of the time, get the dates he would like for vacation days…at least not for another 20 years! In 20 years, I hope we still want to take those long backpacking trips, long road adventures, and have our dreams of traveling the world because we just may have the time to do it then. This vacation picking season can go in multiple directions depending on the “brotherhood” of the crew. In some places it’s every man for himself and those with low seniority find themselves with 2 weeks off in early November while their family is heads down in work and school. I’ve also seen some very helpful and brotherly ways to pick vacation. For example, multiples rounds of picks. So everyone can get their most important days on the calendar before the 2 senior guys block all of summer and all of December with their stockpile of vacation days. The process differs from station to station, but it all ends the same way…vacation days on the books. Here are some of thoughts from the Fire Wife Sisterhood on vacation picking. 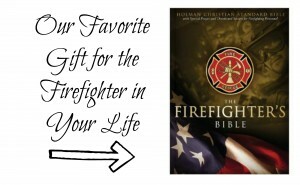 This is due largely in part to the senior firefighters getting first pick and choosing to be off for specific holidays – Memorial Day and Labor Day Weekends for example. Great times to travel for weekend getaways. The fact that no matter what vacation days your firefighter gets, the struggle of trying to coordinate everyone’s schedule still may exist. Every other weekends, perhaps with 2 sets of parents. Sometimes this boils down to only one potential weekend available. In many departments, even if vacation doesn’t work out as you need it, many other firefighters are in the same boat and happy to work out trades with other firefighters to get off those important vacation days you need. 5. But How Do You Plan That Far In Advance? This is another small hurdle in the fire family life. Cousin Joe gets engaged and you get a wedding invite for September long after vacation picks were done. 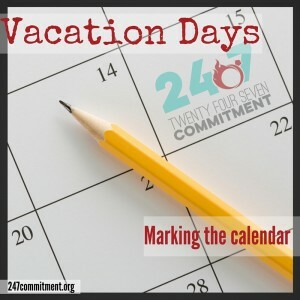 Sometimes, things change, and other firefighters cancel their planned vacation days so something opens up on the calendar. (Honestly, this is a pet peeve of mine when someone senior just “blocks time just in case” and then cancels it like a week before. That just blocked our first choice week of family vacation but now it’s too late to replan. Frustrating! 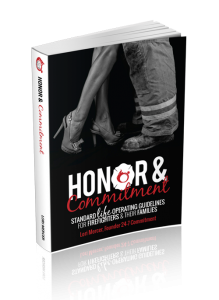 Don’t be that firefighter 😉 ) In these wedding and other pop up events, like kids sports schedules for example, refer back to item 4 – trades. The important lesson – make friends with guys on other unit days and BE GOOD ABOUT PAY BACKS. 6. Is Vacation Time For Family or Sport? Do you have this problem in your home? First thought to vacation scheduling immediately turns to the first day of deer season. I’m so sorry hunting widows! The fire wives whose firefighters disappear into the fields, woods, mountains, or plains depending on the hunting season. Despite the challenges of scheduling and planning and suffering through those low seniority years, there are some crazy benefits to the fire department vacation schedule – like the ultra mega vacation. I’m talking about taking 2, 3, 4 or more weeks off at once. It’s totally do able with vacation time, personal time and / or some trades. When we took our first 2.5 week vacation traveling the east coast in 2012, everyone at my office looked at me like I was crazy. No one can take 2 week vacations – except our colleagues in Europe who take off all of August, and Dec. 20 – Jan. 7 and all that time around Easter….I’m serious. Look it up. We’ve got something seriously backwards here in America. Unless you’re a firefighter. So how about this perspective? Think of those 1-2 night quick trips that can happen because of the shift schedule. And how many times he didn’t have to take vacation time for a doctors appointment or sick child or when the basement flooded. Because they were off duty and available. This doesn’t mean to not schedule vacation time and save it up (um, refer to item 2). Taking time completely away for a week or two is rejuvenating and healthy and like money, we can’t take vacation time with us when we leave this earth. With thankful hearts, and the occasional frustration, we will mark our calendars for the days our firefighter has off in the coming year. We will live every moment we have together, and always remember the times apart make them that much sweeter. Speaking of vacation time, have you booked your Commitment Weekend yet? Registration will open soon. This year Commitment Weekend is in Estes Park, CO on June 2-4th. More details with registration open.